Targeted college recruitment programs are comprehensive plans designed to not only bring in diverse talent, but to set a foundational relationship for those employees to flourish within your company throughout their careers. Consider these four principles when building your own targeted college recruitment program. The best diverse candidates may not take conventional paths to become the elite students of their graduating year. Businesses should broaden the scope of the universities and colleges from which they recruit, as well as the type of resumes they’re expecting. 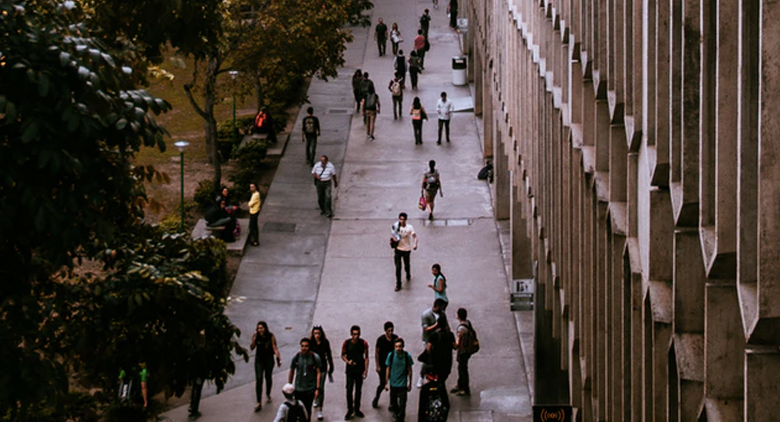 A company might find more success looking for diverse candidates at historically black institutions with reputable programs than at prestigious, often homogenous universities. Similarly, a first generation minority student may have to stick to summer work that’s close to home rather than take on a lower paying internship at a big name company. If your diversity metrics are lagging and you’ve been recruiting from the same university for decades, you may want to expand your search elsewhere. Inviting managers to participate in college recruiting is a game-changer for three reasons: it shows prospective employees that you’re serious about bringing them on, it allows new graduates an opportunity to get a feel for company culture, and it provides an initial link to individuals in management. Your managers know your company inside and out. Their presence can close the deal when a sought-after recruit is deciding who to sign with. It’s also important to ensure that employees who attend recruiting events are well-versed in the concerns of the talent they’re trying to recruit. Someone with a disability may be concerned about the specifics of the healthcare packages you offer, for example. From your branding materials to your advertisements, reflect a diverse workforce that’s welcoming to employees from varying backgrounds. It’s not only important that company photographs show a diverse group of workers, but they should represent those employees appropriately. If your advertising materials only depict white males, for example, it’s likely that diverse talent will be hesitant to apply. Recruiting diverse employees is just the first step. If you don’t make an effort to build an inclusive workplace for everyone, your college recruiting initiative will be for nothing as diverse employees won’t be likely to stay. Whether it means establishing a new hire mentoring program or set of employee resource groups (ERGs), make sure candidates and employees have access to these types of support groups. Peter Scorzetti is a writer for LatPro, Inc. and DiversityJobs.com, an award-winning employment website working to connect talented job seekers with employers who value diversity. He holds Bachelor Degrees in Management and Philosophy from Penn State University, has ten years of experience working with small businesses, and is always striving to understand more about the dynamics of the workplace.